Place Value Wiki is a collaborative platform for anyone interested in the empirical links between aspects of place quality and aspects of place value. The quality of places influences and is influenced by housing conditions, real estate markets, and our use of technology. The place has an impact on the way we govern ourselves, on our democracy and local decision-making, on community togetherness and empowerment, and on much, much more. This Wiki brings evidence together to show that these and other impacts are not just a woolly wish-list of desired benefits quoted by those already convinced about the importance of investing in a high quality built environment. Instead, they are statements of fact supported by a wide and growing range of robust and convincing evidence. In the face of such overwhelming evidence, policy makers, developers, and built environment professionals would be foolish not to make the pursuit of place quality a high priority. All researchers are welcome and encouraged to use and contribute to this collective resource, either through editing an existing entry or adding a new entry relating to their own or any other research under the appropriate category. The Place Value Wiki was launched at Big Meet 8 and is an immensely useful free resource for anyone looking for robust evidence that makes a convincing and powerful case for investing in place quality. The aim of the Place Value Wiki is to bring together, in a ‘raw’ form, the range of rigorous research evidence that links the ‘quality’ and design of ‘place’ with the value added in health, social, economic and environmental terms. The wiki is derived from a study that reviewed 13700 research records, before narrowing these down to 271 of the most robust studies. The evidence is brought together, categorised, and presented in an impartial form in the hope that others will digest, utilise, investigate further, and hopefully add to this resource with more and better evidence in the future. Practitioners and others can find research here that helps to make the case for their projects, policies and strategies, and researchers can add research here that they believe will add to the collective evidence on these issues. The types of places we inhabit have a profound impact on health, society, the economy and the environment. Place Value Research distils 271 empirical research studies to uncover the truth about the qualities of the built environment that are good for us and deliver place value. 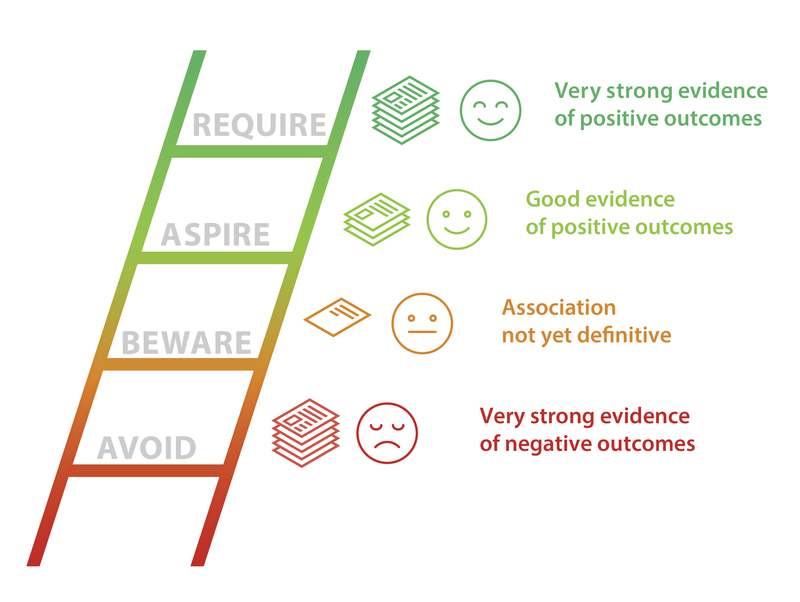 The Ladder of Place Quality is a simple tool for decision-makers to use when considering: are we making a great place? The urban places that most of us inhabit are both physical and social, made up of buildings, streets, spaces and landscape, various land uses and a community of users. In recent years the evidence base that links better place design with value has grown significantly. The evidence indicates that high quality places add value in regard to health, social, economic and environmental outcomes. The sum of these outcomes = place value. As planners, developers, architects or decision makers, we can improve the built environment to enhance place value. A guide for decision making about the built environment, supported by the Design Network.